I am interested in the history of technology, particularly those histories at the intersection of visual culture and work. In my book Seeing Underground: Maps, Models, and Mining Engineering in America, I explore the development and use of visual tools such as underground maps and 3-D models by American mining engineers in the late 19th and early 20th century. These visual tools helped mining engineers exercise their authority over work, and together with new technologies, enabled them to shape and reshape mining labor and the mining landscape. 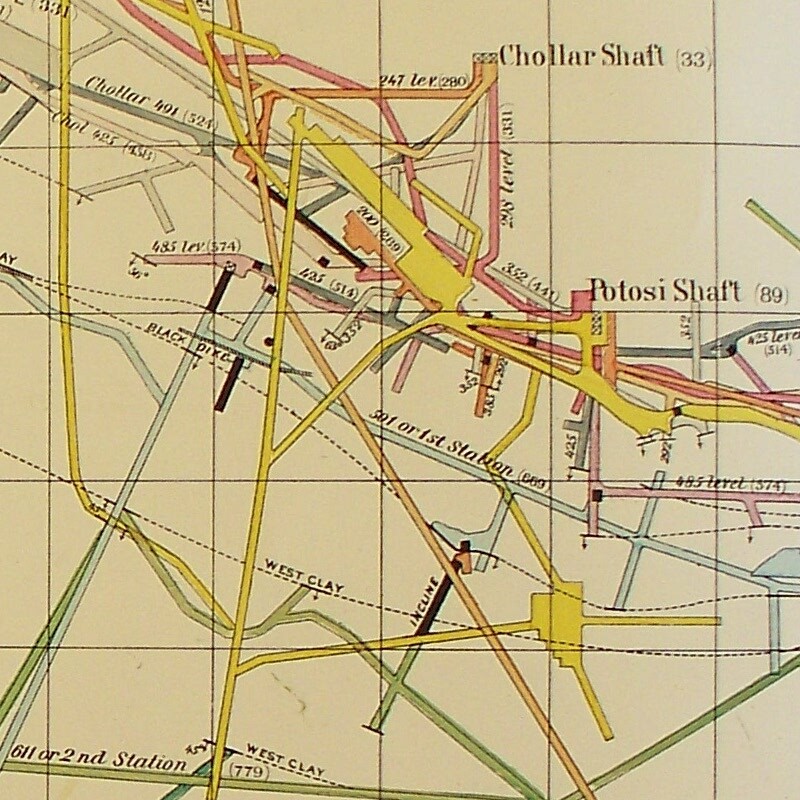 The image to the right shows a small detail from a published version of one of these underground maps (Atlas Accompanying Volume III on Mining Industry, , plate 4). The view is from overhead, as if the surface of the ground had been removed. The colored lines represent excavated workings, with different tints portraying differences in depth. In a composite horizontal view such as this, blank spots on the map represent unexplored rock. My next book project combines my interests in mining history and public history, to explore how the mining industry has been portrayed and remembered in museums over the last century, particularly at the Smithsonian Institution. Other areas of scholarly interest include the history of mining in both an American and global context; American engineering practice, tools, and education in the 1850-1930 period; public history; digital history, particularly the use of open-source digital tools to gain new historical insights; the history of the American West; the history of National Parks; the history of museums; the intersections of material culture and history; and the interpretation and reinterpretation of Las Vegas. On this site, I am also collecting notes about the public history of ASU's Polytechnic campus, which was once Williams Air Force Base.